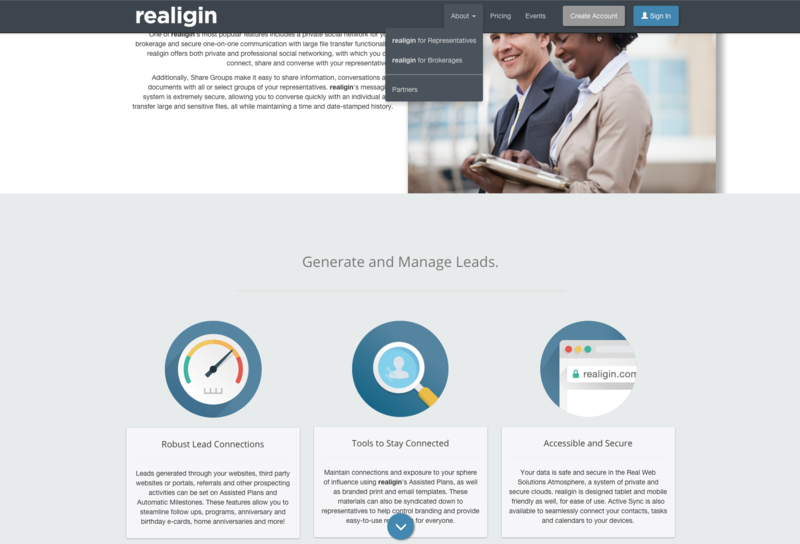 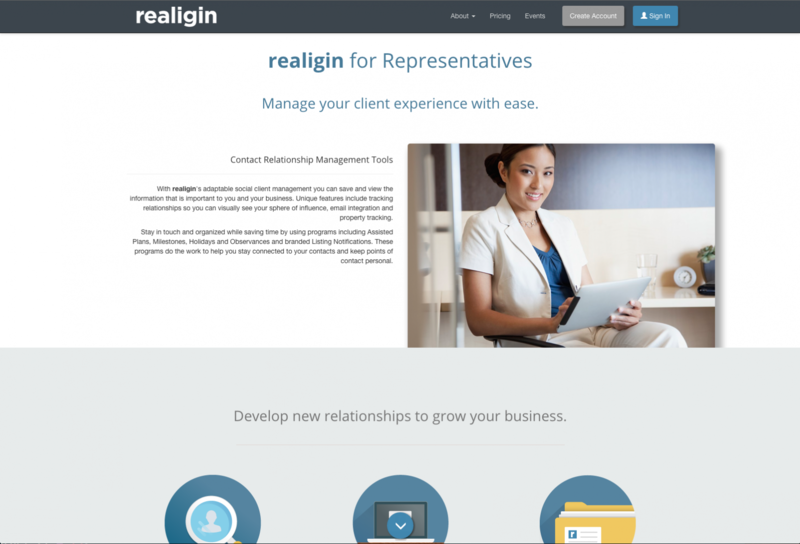 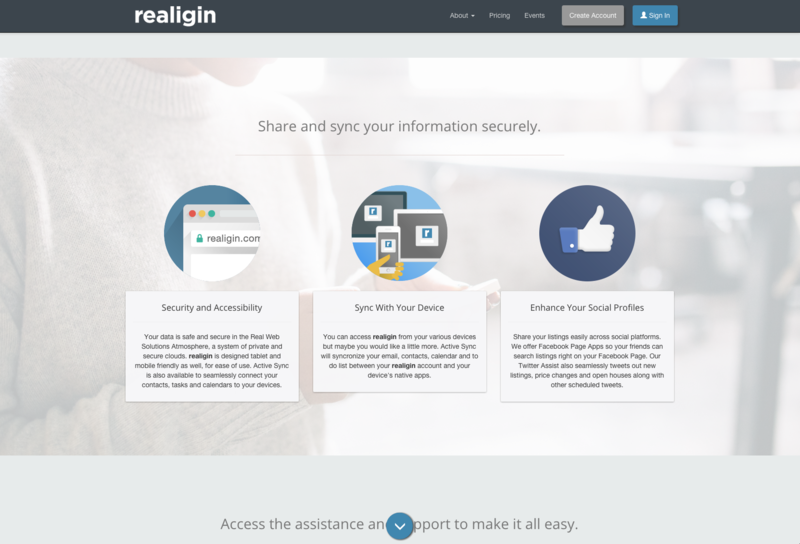 The newest platform from Real Web Solutions, realigin, is an extremely powerful CRM/CMS that offers just about every web tool a real estate professional could wish for. 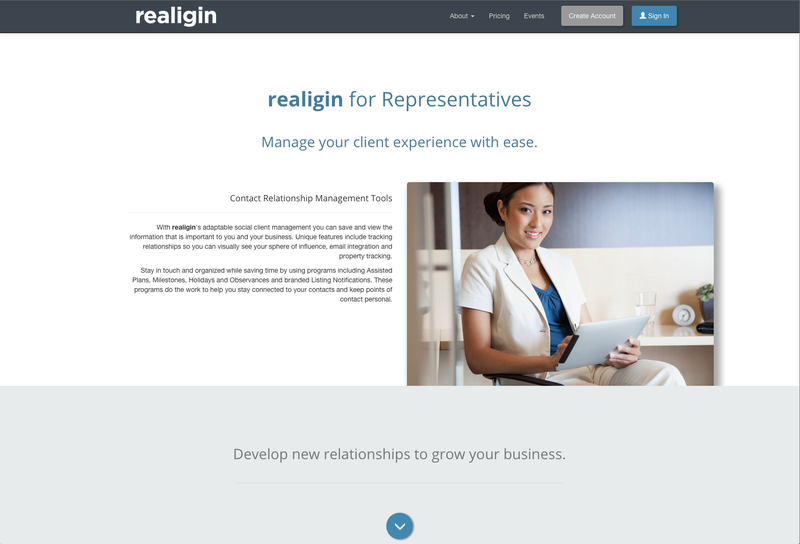 This product and services website separates realigin from any other real estate tech companies in both aesthetics and performance. 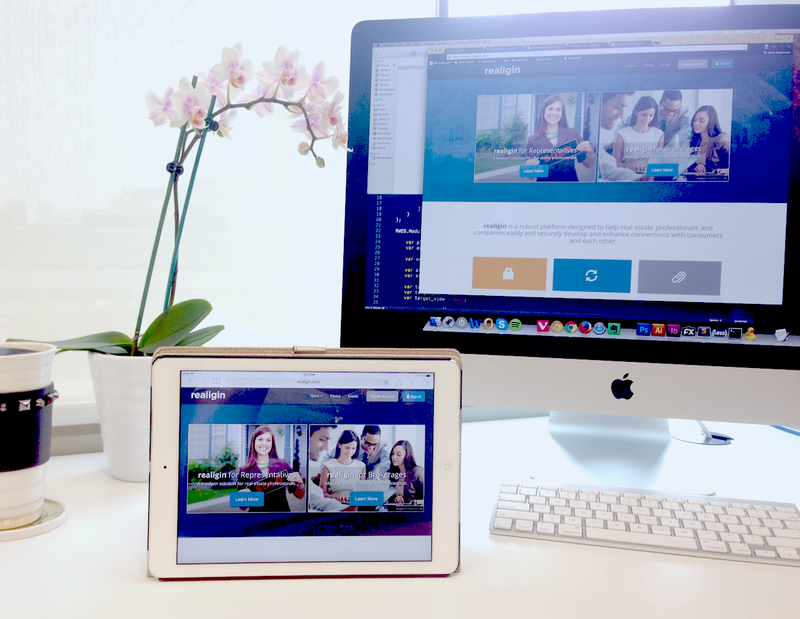 I used Bootstrap framework at the core to ensure a perfect experience at any screen size. 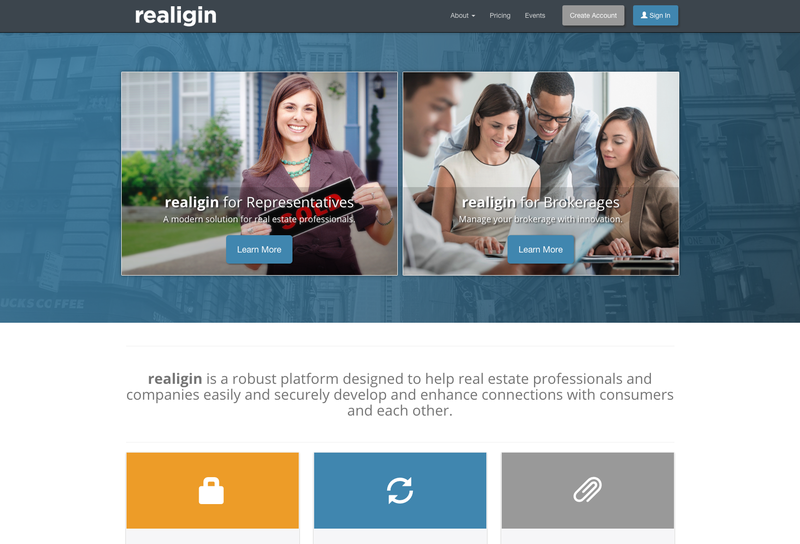 Realigin has since been sold to an other company and is now being rebranded! 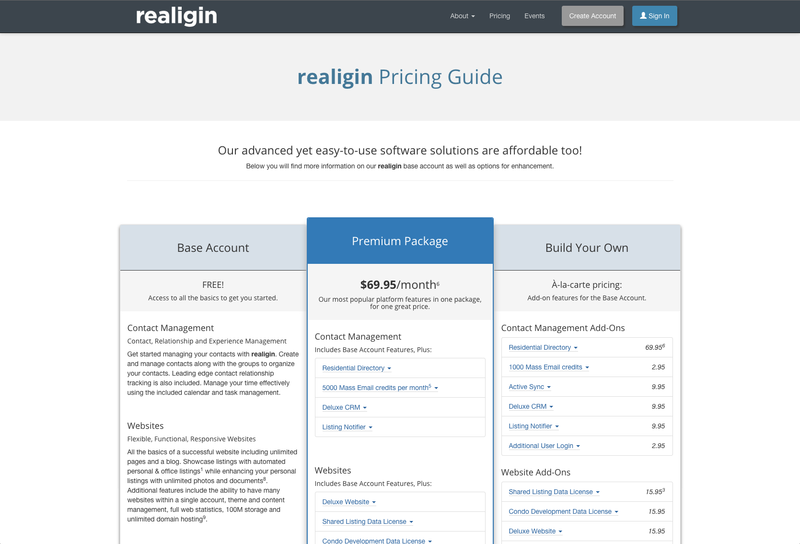 I have added a live demo of the website since it is no longer available. The website was designed to give viewers a taste of what to expect from realigin, all while remaining friendly-feeling but tech-focused. 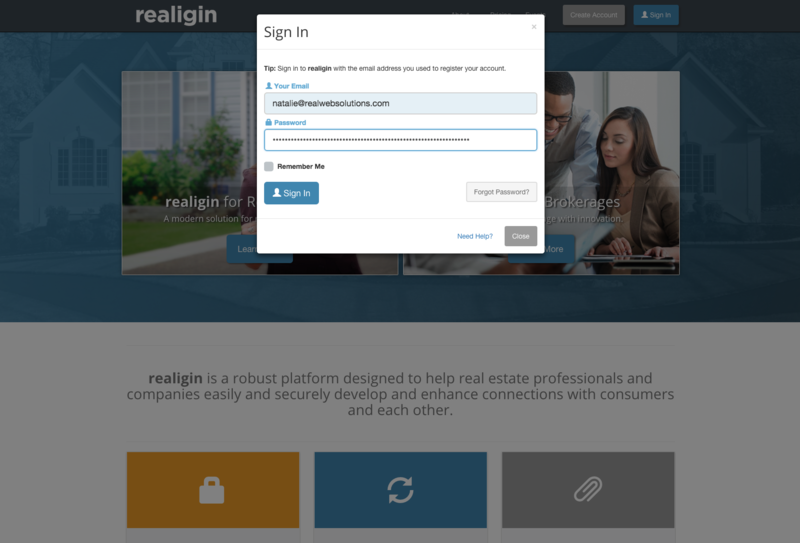 The primary purpose is to push user sign-up. 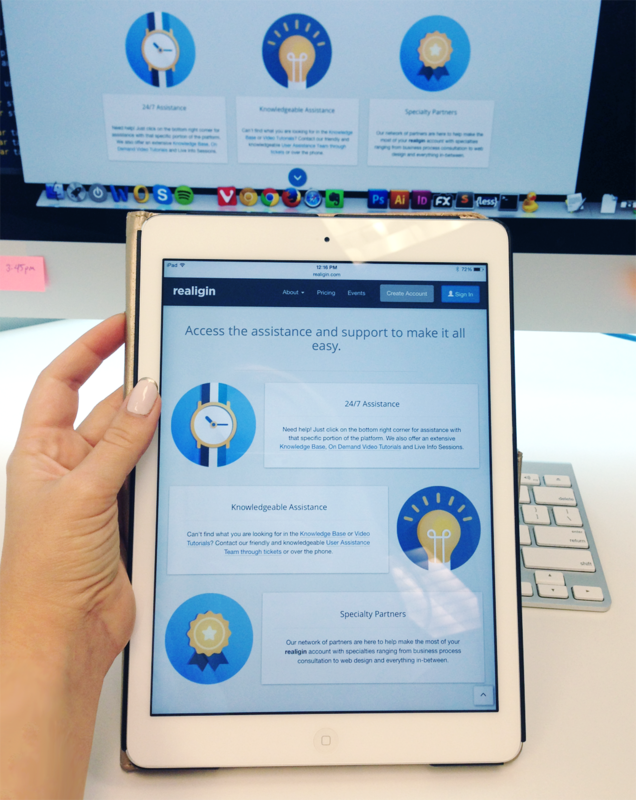 During development, I made sure the forms were fun to interact with and easy to understand. 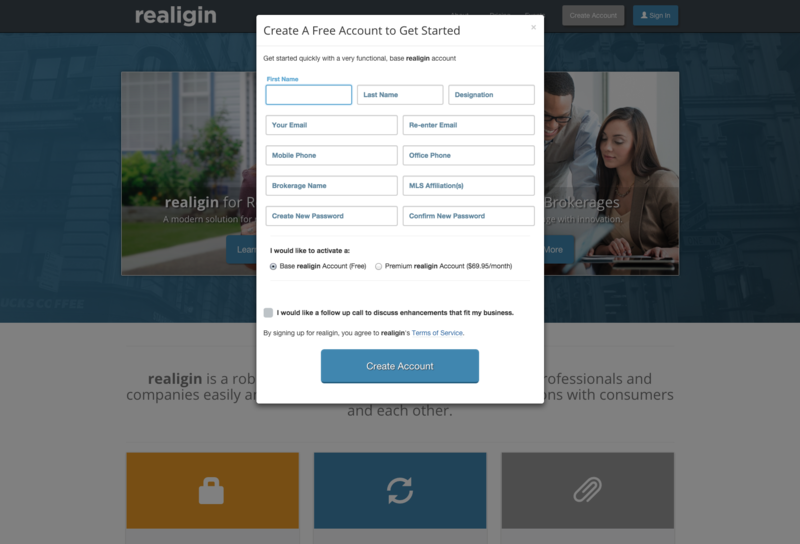 This helped eliminate partially filled-out forms and kept the user’s trust through the sign-up process. Form validation is immediate and clear. 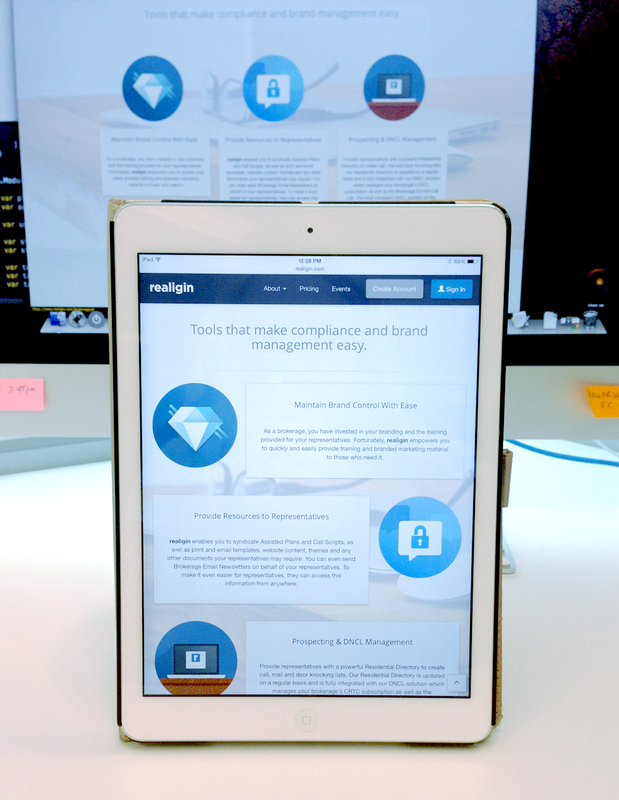 The product pages feature large images and illustrated icons to breakup the content. 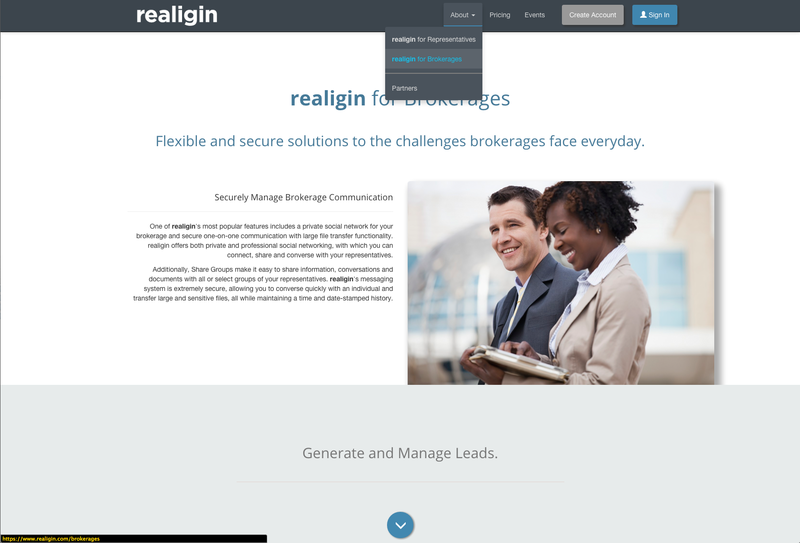 Subtle CSS animations on content pieces, plus the animated push-scrolling on desktop, make the pages engaging to navigate through.